Talend Open Studio (TOS) is a leading open source Data Integration (DI) tool used to build end-to-end ETL (Extract, Transform, Load) solutions for the Big Data platform. Headquartered in Redwood City, California, Talend has offices in North America, Europe and Asia, and an international network of technical and service partners. Fortune 500 companies such as eBay, Virgin Mobile, Sony Online Entertainment, Deutsche Post and Allianz use Talend. It has 400 employees in 14 offices in 7 countries. 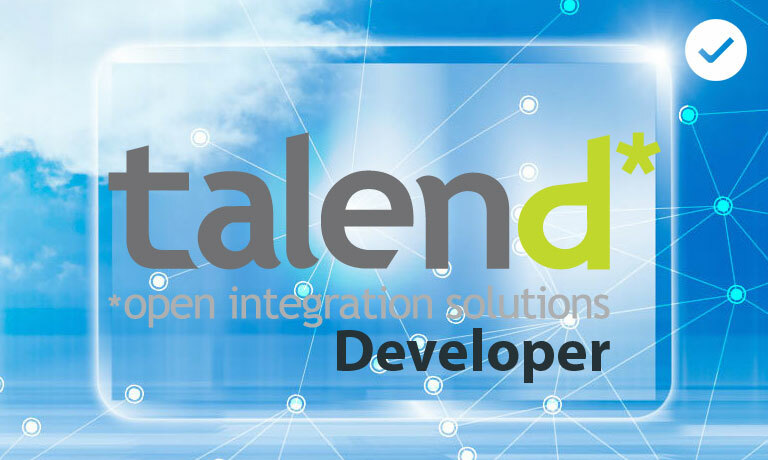 “Talend for Big Data” is the first Hadoop-based Data Integration (DI) platform. Talend simplifies the integration of big data so companies can respond to business demands without having to write or maintain complicated Apache Hadoop code. Talend enables existing developers to start working with Hadoop and NoSQL databases by using simple, graphical tools and wizards to generate native code that leverages the full power of Hadoop. Creating different job types in Talend. Overview of Big Data Components. Different types of deployment in Talend. Scheduling jobs in Talend and Shell Scripting. Extraction of data from the source file. Transformation of the required file type from the original type to the required type so that it can be accessed from the target source. Loading the files into the target Database or Data Warehouse. Anyone from the IT or non-IT field who is looking for a career in Big Data and ETL field.